Working as a nurse can be very taxing at times. You’ll have to deal with senior nurses, matrons, doctors and other medical staff, some of whom may outrank you. Sometimes, you may face unreasonable demands from your head nurse. Saying No to unreasonable demands on time and efforts is a tough job, given the criticality of a health care center environment. This situation is compounded if you are a new and inexperienced nurse; confusion and frustration rule the day while dealing with your head nurse’s constant demands. In this article, we tell you how to deal confidently with different personality types and how to say No and mean it. 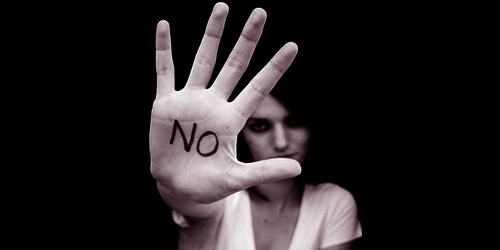 It’s tough to say No in any kind of society; people don’t like rejections and therefore find it tough to dish out rejection to others. Firstly, people experience guilt when they are forced to turn people down. This guilt turns into resentment towards the person(s) requesting favors. The second part is that most people enjoy the feeling of being wanted and needed; this is why we find it tough to say No to invitations, and requests for help. The third reason is that people say Yes to avoid potential confrontations and the contest of wills that may or may not result from rejection. Some people are taught never to say No, since saying No is considered selfish and uncooperative by most societies. If you are a regular nurse in any health care setup, you’ll have to report to a head nurse who’ll be in charge of you and your assignments. Your head nurse will be responsible for nurse retention, assignments, rotation, overall patient satisfaction and reporting to management. Your head nurse has, therefore, quite a few responsibilities over and above your own. Sometimes your head nurse may push harder on you and try to extract more work. Given the enormous nursing shortage in hospitals these days, head nurses are expected to achieve best results given their staff numbers. Note down all your tasks and assignments in your daily and weekly planner. Always make sure that you know what you’re supposed to do next. That way, if your head nurse interrupts your schedule with a sudden summons or task, you can inform him or her of the potential impact to an already planned task while saying No. Don’t smile when you reject a request. Smiling indicates that you’re not seriously saying no; a smile might weaken impact of your rejection. Keep your face straight, but not stern. Look earnest, sincere and at the same time firm. When your head nurse comes over to your station, stand up immediately. This way, you appear to be in charge, confident and capable. Even if your head nurse calls you over phone with some order, stand up when you take your call. You will feel more confident to deal with any demands. If your head nurse sits down while giving you an urgent order, ensure that you remain standing in a ready pose to rush to an emergency. Your body language will discourage your head nurse from pushing you too much. Keep your body language stiff while being polite, to ensure that your head nurse does not impose additional work on you. Don’t voluntarily ask your head nurse about their responsibilities. Don’t show any interest in anything other than what you’ve been assigned. As long as you do your job on time, it’s good enough. Don’t be too eager to complete a job before time to show that you’re eager to please. Feel free to interrupt your head nurse with a question or request for clarification. If you patiently listen to the head nurse’s instruction, your body language gives out the message that you are interested in listening to what the head nurse has to say. When you interrupt, you’ll break their communication flow and focus. Use preemptive techniques such as informing your head nurse of your full schedule proactively. Let your head nurse know how busy you are and let him or her see you filling in your planner. This will discourage them from approaching you with additional requests. Look busy all the time. If your head nurse finds you standing here and there, taking personal calls or long coffee breaks, they’ll know that you have time to spare for other tasks. Remember your head nurse will be watching you. Look busy, act busy and walk briskly from room to room while attending to your tasks. This will discourage your head nurse from approaching you. You be in charge of the situation, rather than expecting your head nurse to change. If you feel intimidated by your head nurse, and find them unreasonable, you might wish that they’ll change. By wishing this, you’re actually putting the onus of change on the other person. Instead of that, change your attitude and perceive yourself in charge of your situation. This way, you can move from being a victim to a controller of your environment.